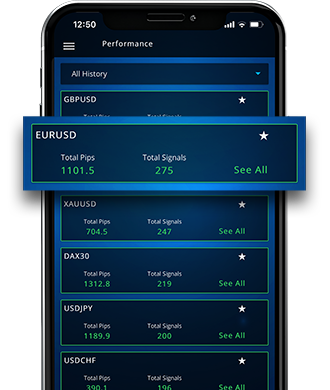 With One Billion Signals, we really aimed to put everything a trader needs in one place. Our features are built to complement each other – they work around giving you filtered information about the market, succinct, though comprehensive, and at the right time. Convenience is our primary priority, so that is what you get. When it comes to trading it's important to catch the right moment. 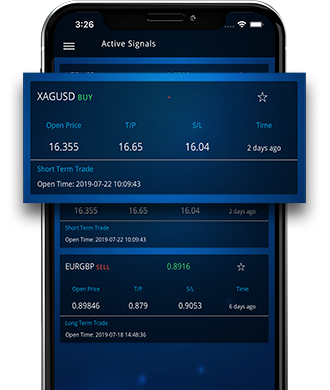 We provide push notifications on live trading signals, market news and sophisticated technical analyses to help you be on time – and profit from it. Don't worry if you accidentally cleared your screen or missed one of our push notifications. Go to the Active Signals tab and you'll see a list of all currently active trading signals. Tap on each signal to reveal a deeper technical analysis. 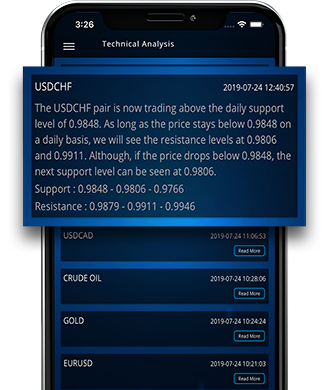 Our experienced team of market analysts monitors the market daily and identifies trading opportunities by analyzing statistical trends gathered from trading activity. We deliver our market insights in the form of short reports that help you analyze trends without wasting your time. Financial markets are influenced by economics, politics, public affairs, and many other factors. It's crucial to stay up-to-date on current and expected events if you want to be a profitable investor. Visit our Market News tab to stay on top of trends! We believe in convenience and quick decisions. 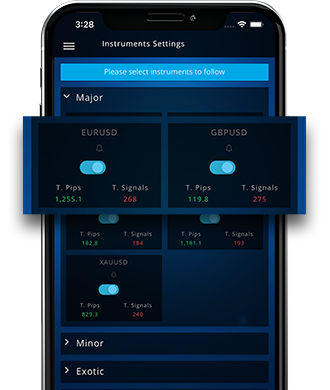 We support and deliver signals for 65 instruments, including forex pairs, indices, commodities, cryptocurrencies... you name it. We keep expanding the list so we can be your trusted one-stop shop! The Performance tab gathers all signals in one place. It helps you track their performance in chronological order. Never miss a winning trading opportunity.